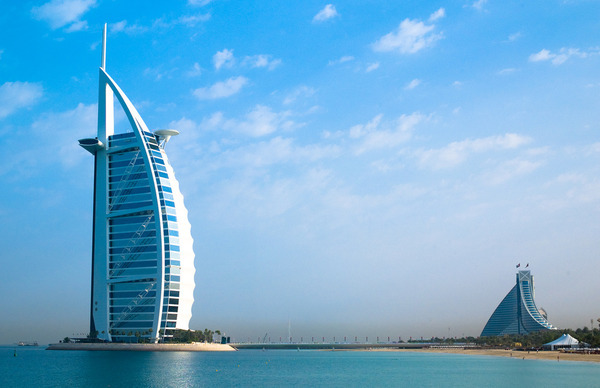 Burj Al Arab is a luxury hotel that is located at the heart of Dubai city in United Arab Emirates. It was designed to imitate sail of the ship and is the second tallest hotel in the world. Standing on the artificial island Burj Al Arab is connected to mainland by private curving bridge. It is both luxurious and unique due to its form as well as contents. The hotel has 28 double-story floors and 202 suites and also offers restraints and large seawater aquarium. 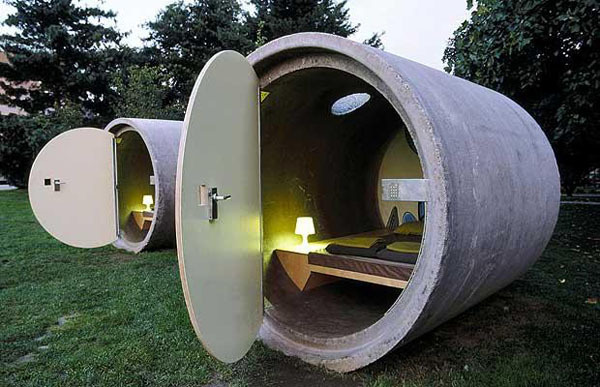 Das Park Hotel located in Linz, Austria is an idea of Andreas Strauss who came up with redesigning and actually using sewer pipes as hotel rooms. Each room is equipped with lights, double bed, hut sleeping bags and electronic code lock to ensure safety of your luggage. The hotel complex has toilets, showers, a mini bar and cafeteria and the rest of the services such as electricity are purchased with ‘pay as you go’ system. This five-star hotel, originally a winery built in 1858 was re-designed by Frank Gehry into a City of Wine with hotel, wine shop, viticulture museum and SPA. 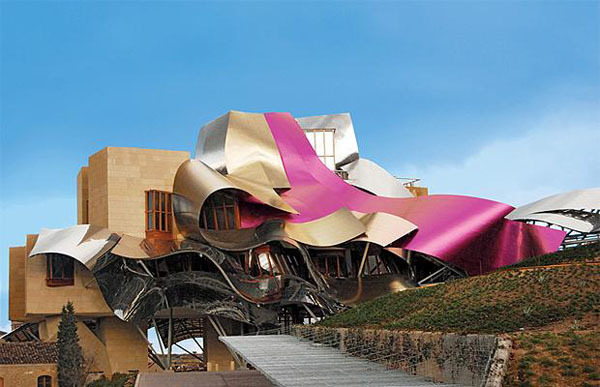 To incorporate the feel of Rioja region and Marqués De Riscal bottles into the building architecture Gehry decided to go with pink, silver and gold ribbon-like titanium plates decorating the facade. 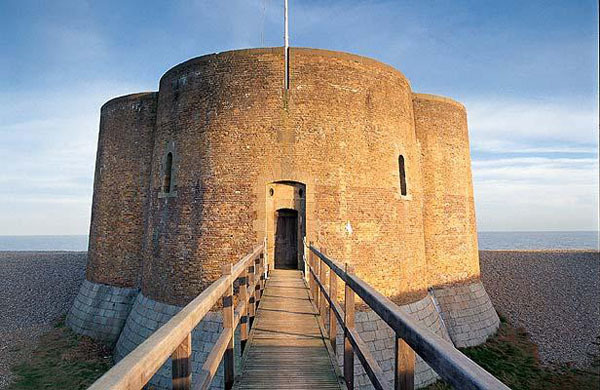 Martello Towers were built to protect against potential Napoleonic attack. 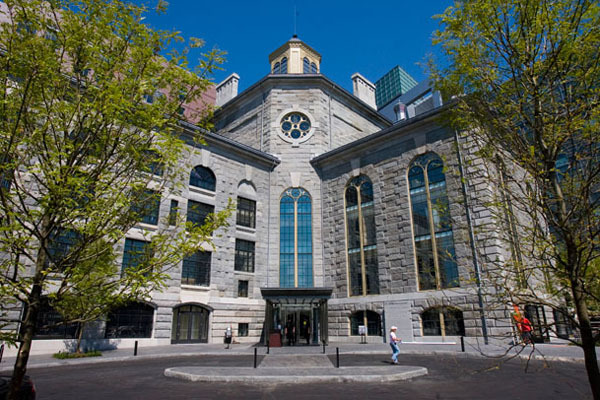 But now some of them serve as hotels after some restoration. Living with the wind, sea and rain in the echoing rooms it’s a truly unique historical experience. The features are a solid fuel stove, parking, roof terrace and showers. The dogs are allowed. 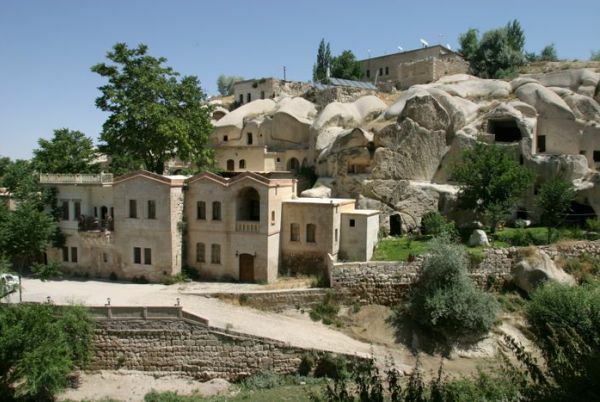 Gamirasu Cave Hotel is located in Ayvali Village in Cappadocia, Turkey. The hotel consists of 30 rooms in troglodyte cave and was opened in 1999. Being one of the most distinctive cave hotels in Cappadocia, Gamirasu was made out of old Byzantine monastic retreat of one thousand years old. The hotel as well as the village provide many activities for their guests from free horse riding to baking and wine-making. 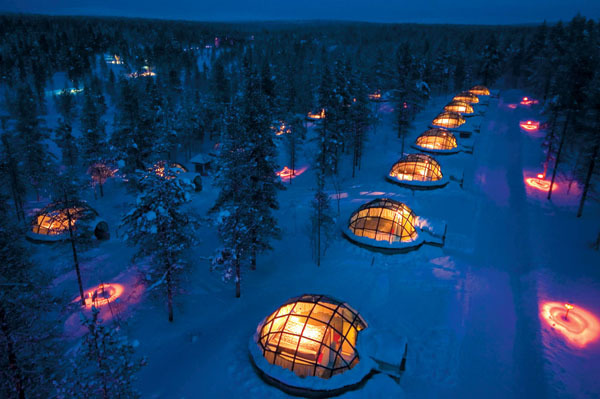 Hôtel de Glace or Ice Hotel in Quebec Canada is one of the most unique hotels in the world. Made out of ice and snow the hotel boasts spacious berooms, jazz suite, ice bar and cafe, hockey suite and an ice chapel. 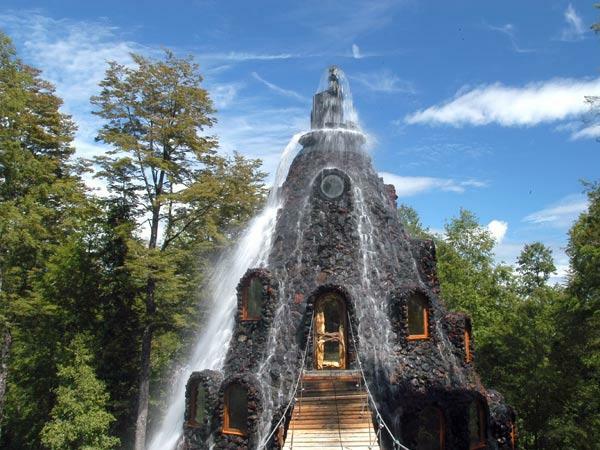 You can marry there and have fun sleeping in -5°C from January 6th, 2012 in 12th edition of this amazing work of art. 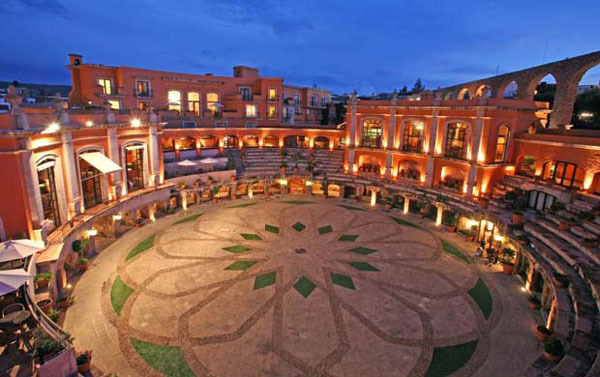 Quinta Real Zacatecas is a converted-bullring-hotel in México. The bullring which was built in 19th century has hosted its last corrida in 1975 being later restored and redesigned into a hotel which has preserved the feel and the beauty of its original structure. The former bullring is now a colonial-style patio with flowers and romatic landscapes.